It has been a week i wrote a post.These days i am very much occupied by two kids.These days they started fighting for the same items.Even though my second one is very small but he frightens his sister very much.And from yesterday i was little afraid of my blog when i saw it was not opening.But today morning only i felt some what good after seeing that it is a problem for very one.Coming to the recipe i made onions Bajjis in a different way compare to our regular ones.I used plain flour and eggs in it,they are really very good and very soft.Here goes the recipes..
Chop the onions into rings and keep aside in a bowl. Take a small bowl,add all the above ingredients expect oil and onions and mix well. Now pour this mixture on onions rings which are kept in another bowl.Mix well. Heat a pan with enough oil for deep frying the bajjis.Drop the bajjis in batch with a spoon and fry them till both side turns into golden colour.Place them on kitchen towel to absorb excess oil. 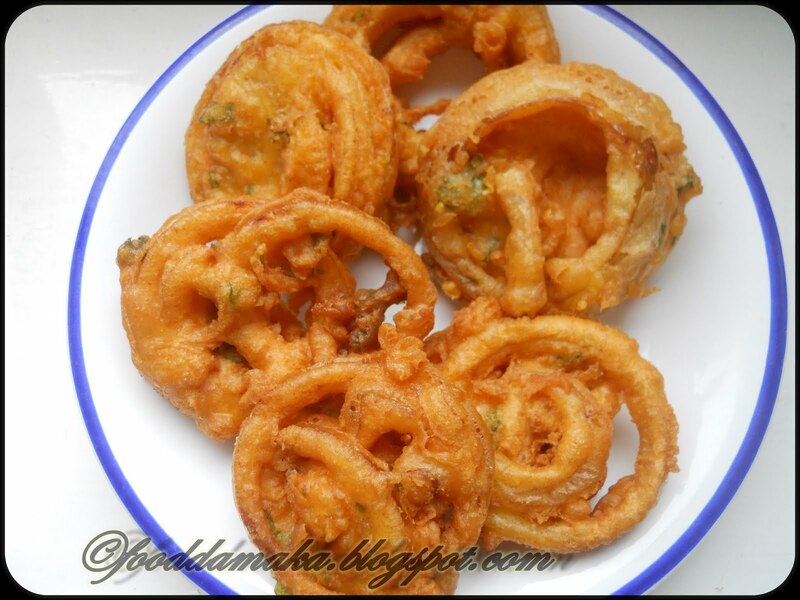 Then serve the onion bajjis like that or with any chutney. 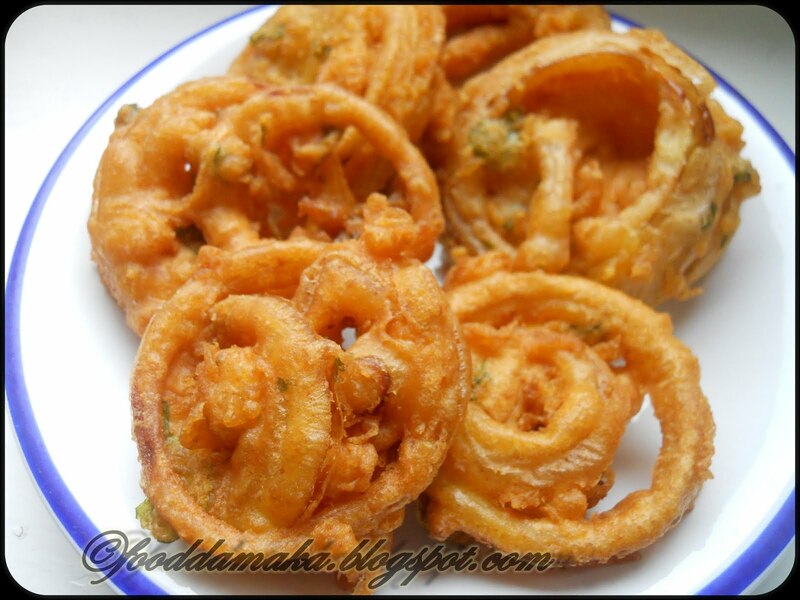 Feel like having some bajjis rite now,so crispy and tempting..